Get ready to get nostalgic. 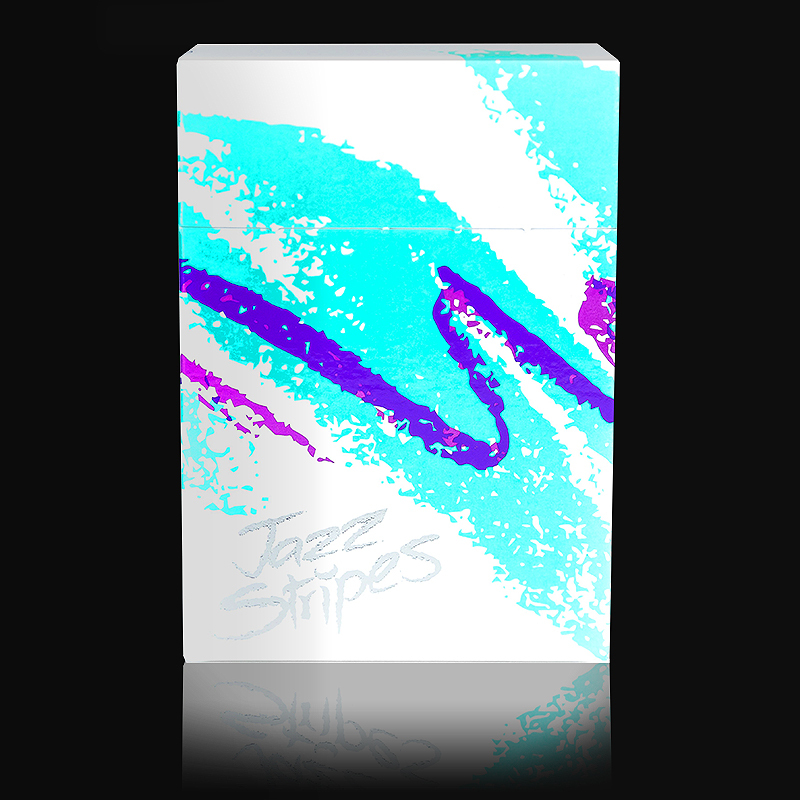 Jazz Stripes are inspired by the classic 90s Solo Cup design. The dual “wave” back design allows flourishes and fans to connect forming a seamless wave. The edgeless design is printed with vibrant Pantone colors. The custom designed cigarette style tuck case is constructed in a durable soft touch stock with silver foil accents and spot gloss on the wave design. Cards are printed on Superlux B9 stock created by Cartamundi. A durable stock that fans and can handle flourishing with ease. Limited Edition of 6,000 decks. Printed in Europe by Cartamundi. • The cards are poker size. Αυτό το προϊόν προστέθηκε στον κατάλογό μας την Thursday 27 September, 2018.